The first time you come to Points North, you will have a brief, private intake. I will ask you questions about your health, especially the circumstances that prompted seeking care. After our discussion, your acupuncture treatment will take place in one of the two community treatment rooms. There is a table, recliners, or hybrid treatment chairs to choose from. Each of these is separated by screens for those who prefer some privacy in their community acupuncture experience. The needles will be inserted and left in place for approximately 25-45 minutes while you relax. I may bother you once or twice to give the needles stimulation, if necessary. Many first-time patients are concerned that acupuncture needles will feel like hypodermic injections at the doctor’s office. They won't. Acupuncture uses hair-thin, flexible needles. Most people do not find these needles painful. It is important for the nervous system to be stimulated in order to achieve optimal results. This may produce a variety of sensations including heaviness, aching, pressure, or tingling. You may also feel an "electrical" sensation moving down the meridian pathways. Most patients find acupuncture treatment deeply satisfying and profoundly relaxing, both mentally and physically. 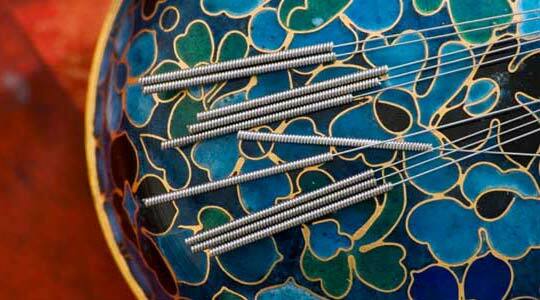 Our acupuncturist rarely, if ever, places needles in or near the affected area of the body. For more information, see the next question. Why do the needles go in areas far from the affected area? PNCA's acupuncturist primarily practices "distal" acupuncture when treating conditions involving specific areas of the body (as opposed to systemic issues). The main reason for this is simple: it is more effective than treating the affected area. Licensed acupuncturists (as opposed to MDs, DCs, and DOs who are usually certified acupuncturists with minimal training) are thoroughly educated in "channel" or "meridian" theory. With this knowledge, they know the best places to put needles in order to send corrective signals to the central nervous system. This is why acupuncture therapy by this type of practitioner is especially helpful for pain (but certainly not limited to it). PNCA's acupuncturist developed CRPS and was able to resolve it within 3 days of diagnosis. Anyone who has suffered CRPS knows that even the THOUGHT of having needles inserted into the affected area is terrifying. What about "Motor point" treatment? Why it costs more: The cost of community acupuncture is low because patients are scheduled every 15 minutes. The clinic is only sustainable with a high volume of patients. Motor point treatment does not fit in well with this business model. It is more labor intensive and takes longer than 15 minutes to treat even a small number of muscles. Thus, patients must be scheduled for at least 2 appointments in a row, sometimes more. The cost reflects this, but many people find that it is well worth it. As with other acupuncture treatment, the number of treatments needed, the duration of effect, the possibility of maintenance and frequency thereof, are unique to each individual. It is worth noting that motor point treatment has been effective for many people who did not respond to any other interventions. I receive emails on a regular basis from grateful patients. 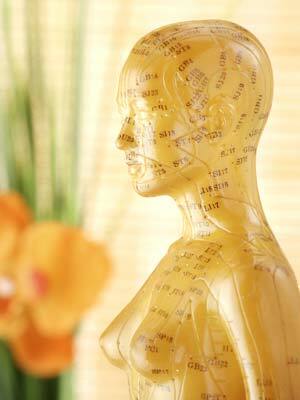 The benefits of acupuncture are cumulative, so more then one treatment is usually necessary. Every person and condition is different, and it is difficult to predict how many sessions someone will require. I have come to expect many problems to show at least some improvement immediately. Patients who are treated frequently at the start (2-3x/week), can expect more dramatic results and an ability to reduce treatment frequency within 5-10 visits. Chronic conditions may take longer to respond, depending on the type, severity, and duration of the condition. Preventative treatments and treatments for general well-being may also be scheduled on an as-needed basis. Extremely. Acupuncture is used by millions of Americans every year. Acupuncturists are required to undergo extensive education, including detailed study of human anatomy and training in Clean Needle Technique. 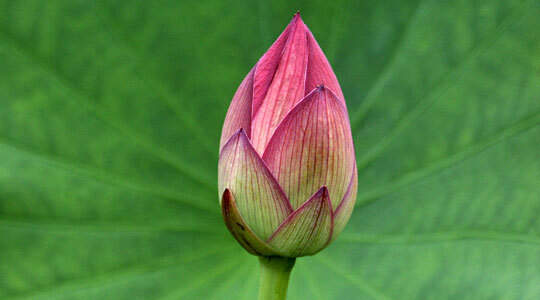 A Master's degree in Acupuncture and Oriental Medicine is a four-year program. I have passed 4 comprehensive national board examinations administered by the National Certification Commission for Acupuncture and Oriental Medicine (NCCAOM) and am licensed by the Minnesota Board of Medical Practice. As required by law, I use pre-sterilized, disposable, single-use needles to ensure your complete safety. For comparison, it is helpful to point out an article written by Dr. Barbara Stanfield and published in the Journal of the American Medical Association. The statistics reported therein are sobering indeed. Notably, that mainstream American medical care is responsible for at least 250,000 deaths per year. Additionally, this figure represents only a small percentage of the actual value, since an estimated 5-20% of medical errors are reported. Acupuncture risk was evaluated in a cumulative review published in the British Medical Journal. The risk of a serious adverse event (infection, pneumothorax) was estimated at .0055% and avoidable with proper training and technique. The study reported milder adverse effects occurred in 8.6% of the patients who received 10 or more treatments. Of those, 53% were bleeding or hematoma, 24% were pain, and 11% were aggravation of symptoms. However, none of the practitioners who participated in this study were licensed acupuncturists. They were physicians. 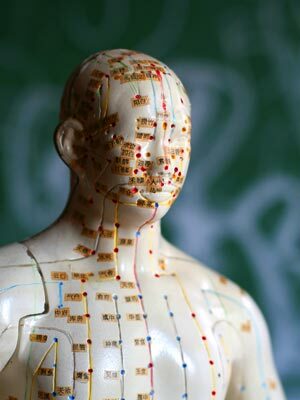 Medical doctors are permitted to use acupuncture needles after taking only 100 hours of training, as opposed to the 3,180 hours of training to become licensed in acupuncture. Moreover, numerous comprehensive reviews of phase I, double-blind, placebo-controlled studies report that the percentage of study participants who receive placebos and experience adverse side-effects is usually around 25%. One may conclude, then, that acupuncture is at least as safe as placebos (sugar pills). Acupuncture works by activating the body's own healing powers, so it can be beneficial for many health conditions. The World Health Organization (WHO) has documented many symptoms, diseases, and conditions that have been shown in controlled clinical trials to be effectively treated with acupuncture. Below are just a few examples of common conditions that I treat. Blue Cross Blue Shield and MN medical assistance alone or through BCBS accepted. Auto, personal injury, and worker's compensation are also welcome.